It's an Obsession – An Outdoor Obstacle Training Centre for Adults to 5 Year Olds. Catering for Team Bonding, Birthday Parties, School Excursions, School Holiday Fun, OSHC excursions, OCR Training, Fitness and Fun. You name it and we can do it for you. I am extremely excited to bring to you the first outdoor dedicated obstacle course training centre in the Redlands for both Adults and Kids. Come along and experience a Obstacle Obsession ! 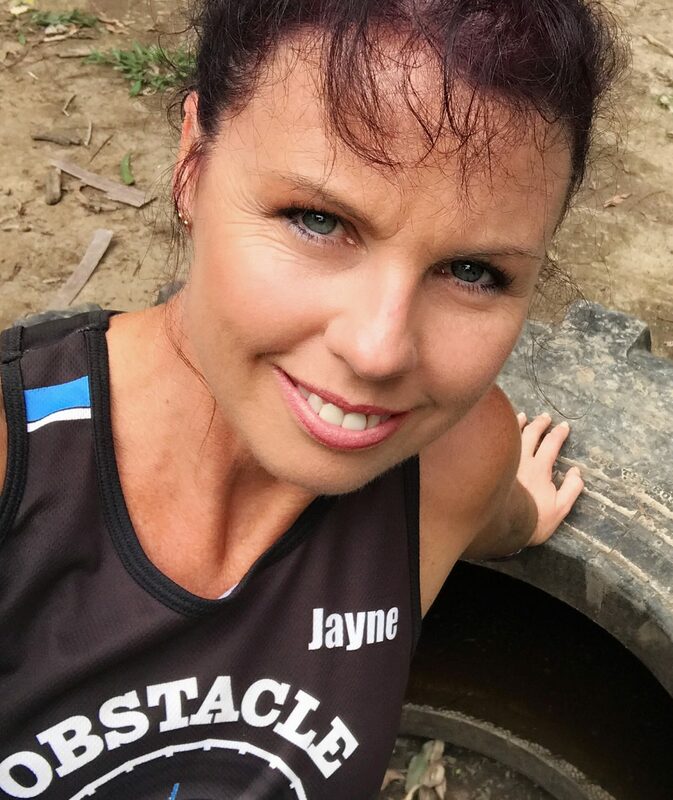 Your experience will include all training techniques to get you ready for that next Obstacle Event, plus have some great fun on my purpose built obstacles. Kids have an awesome time doing relays, activities, games and of course the obstacles. If your looking to get fit, build strength, have fun, experience life outside your comfort zone, then Obstacle Obsession is for you! It’s a great way to keep the kids active, fit and healthy and off those Electronics! Don’t be scared of these Obstacle Events and think, “I could never do that”, because they are for everyone. Anyone wanting a challenge, anyone wanting something different, anyone wanting to have some team fun. Let me get you ready and excited ! There is more and more Events for the kids as well now, so why not get them prepared. Come and join us as an individual or bring your team mates and all prepare together for your next event. You can even join my Team and do the events with Obstacle Obsession. CALL TO BOOK YOUR PLACE TODAY ! How much and where are theybrin. Karina I’m so sorry but I am in Mt Cotton in Brisbane Qld. My map is situated on all pages and costing you will find under Kids Birthday Party Page. Thank You for your interest. Hi just wanting prices for sessions for kids including school holiday sessions. Hi, how much would it be for a child’s birthday party with 10 kids on a Saturday afternoon? Hi Sonya, for 10 kids it is $15 per child for 1 hour or $20 for 1.5 hours. You can choose to bring the kids down just for the obstacle session time frame then go home for the party or Karingal Scouts will allow all your guests to use the grounds and bbq areas for $3.20 per all other guests. ( No extra charge for the 10 kids, just your extra guests). You are then able to continue your party without the hassle of moving. What age group are the kids and what date are you looking at ? The ages are 10 year olds with maybe to 7 year olds. Looking at May 7 in the afternoon. Hi. I coach the Redlands 10 Girls Rep Touch Football Team and am looking for somewhere to have a bonding day. We have 11 players and 2 coaches. Can you please let me know what type of obstacles/activities you provide, and a price. Possibly looking at the weekend of Saturday 28th May 2016. There are also 2 x 10yr old boys teams that may be interested, but haven’t run it past them yet. Obstacle Obsession would be the perfect place for a team bonding activity, along with it being beneficial towards their training for touch football. Like my Facebook Page – Obstacle Obsession – to view more photos of actual obstacles. I incorporate working as a team into climbing, crawling, running, balancing and simply having fun on the obstacles. There is high walls, monkey bars, tyre climbing wall, net crawls, balancing logs just to name a few. My number is 0414 604 168 if you wish to speak with me personally or arrange to come and view site. Prices start from $15 per participant for the first hour. Just depends on how long a session you would prefer. I’ve seen that you have the obstacles course available this Wednesday for an 1 hour , just wondering how much it is for a child? The 1 hour school holiday obstacle course is $15 per child. Please call or text 0414604168 if you would like to book for Wednesday. There should be 3 lines underneath each other in the right hand corner, this opens the other pages when on your mobile. 1 Hr sessions are $15 per child. I have vacancies on Thursday 22nd, Monday the 26th or Wed the 28th. My number is 0414604168, just text or call to book in. Hi there. Can’t seem to find your address. Where is the obstacle course? I was thinking of bringing my 7yo for an hour long session on Saturday. I have a 14 year old girls tocu football team and looking to do some bonding session for them. The girls are all new to each other and would be great to combine some fitness and bonding activities together. What is the price for a 1.5hr session on a Sunday or Saturday? Do you have any dates in mind as I only have half a dozen spots available from now till xmas. You can contact me on 0414604168 as well. Just wondered how the mums and bubs/toddlers worked? And what the cost is? Training schedule is always built around the kids. Depending on how old, they sit in their pram until they are too restless. but we are out in the bush so they will get grubby. My phone number is 0414604168 if you need any further info or wish to book. Hi. I was just wondering if “Train Till Your Drained” was happening in 2018. I’m looking at challenging a couple of obstacle races this year and thought the extra training may be of use. Seeing if you do private sessions for a home school group? We have 8 kids. Do you do during the week, preferably Thursdays? Yes I do during the week. Im going to send you another email from my office computer rather than through the website with an attached information document. Chat soon.